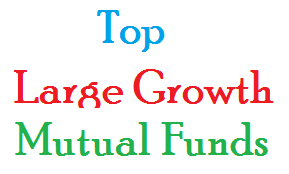 Large growth mutual funds invest mainly in large U.S. companies with high growth potentials. These funds provide little yield or income. From this best performing funds list, you may find each individual fund review. You can find the fund performance, expense ratio, and yield or dividend from the table below. If you are interested in large growth ETFs, you can check my previous article. The list is sorted based on its year to date return up to August 25, 2014. Ranked with 3 stars rating by Morningstar, this top large growth mutual fund has total assets of $1.1 billion. Its expense fee is 1.24%. The fund manager is George F. Shipp. This Sterling Capital Special Opportunities Equity Fund uses its assets to buy domestically traded U.S. common stocks and U.S. traded equity stocks of foreign companies, including ADRs. You can buy this U.S. stock fund with $1,000 initial funding. There are 77 brokerages that offered this mutual fund. In 2014, the year-to-date return is 14.05%. It has returned 24% over the past 1 year, and 18.99% over the past 3 year. Top 3 stocks in its holdings are Directv, Comcast Corporation, and Check Point Software Technologies Ltd. Top 2 sectors are technology and healthcare. ClearBridge Aggressive Growth Fund Class A has a sales load of 5.75%. As one of popular large growth fund, it has $11.9 billion of assets. Its expense fee is only 1.23%. You can invest in your IRA (Individual Retirement Account) with as little as $250. This top performing large growth mutual fund has a 3 year average return of 25.40%. Top 5 equities in its holdings are Biogen Idex Inc, UnitedHealth Group Inc, Forest Laboratories Inc, Anadarko Petroleum Corporation, and Amgen Inc. Top 3 stock sectors are healthcare, technology, and energy. Vanguard PRIMECAP Core Fund is an actively managed Vanguard fund. This best large growth mutual fund has a dividend yield of 0.80%. Its expense is quite low, only 0.45%. The portfolio turnover rate is only 5%. This U.S. stock fund is limited to new investors. This equity fund invests mainly in stocks considered to have above-average earnings growth potential that is not reflected in their current market prices. Morningstar has ranked this best mutual fund with 5 stars rating. The 3 year annualized return is 22.71%. Top 3 stocks are Biogen Idec Inc, Amgen Inc, and Eli Lilly and Co. Top 3 sectors are technology, healthcare, and industrials. With $4.8 billion of assets, Fidelity Independence Fund has a low expense fee of 0.60%. This large growth fund is managed by Robert C. Bertelson. Top 3 holdings are Apple Inc, Gilead Sciences Inc, and Comcast Corp.